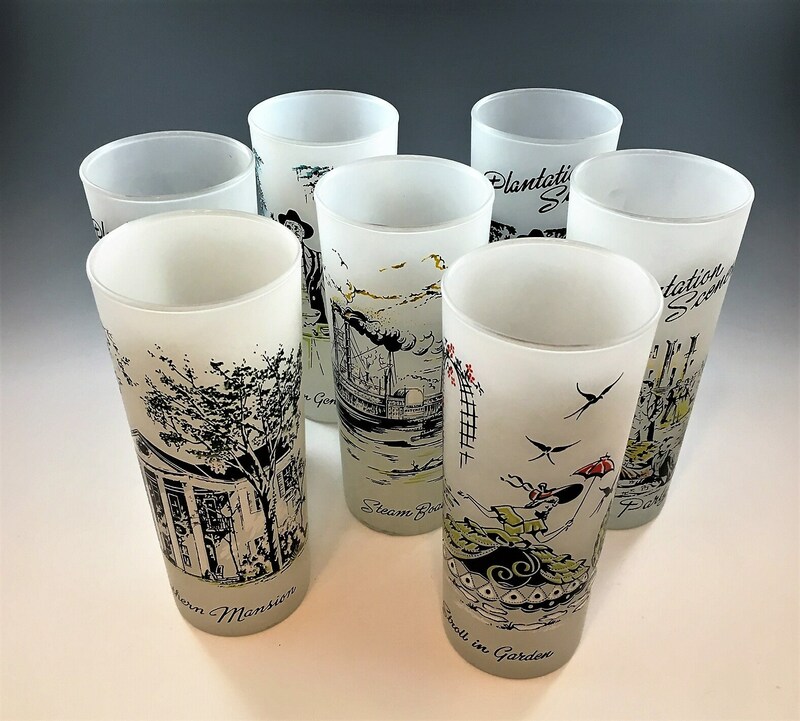 Featured is a great set of seven 1950's frosted tea/ mint julep glasses from Libbey. 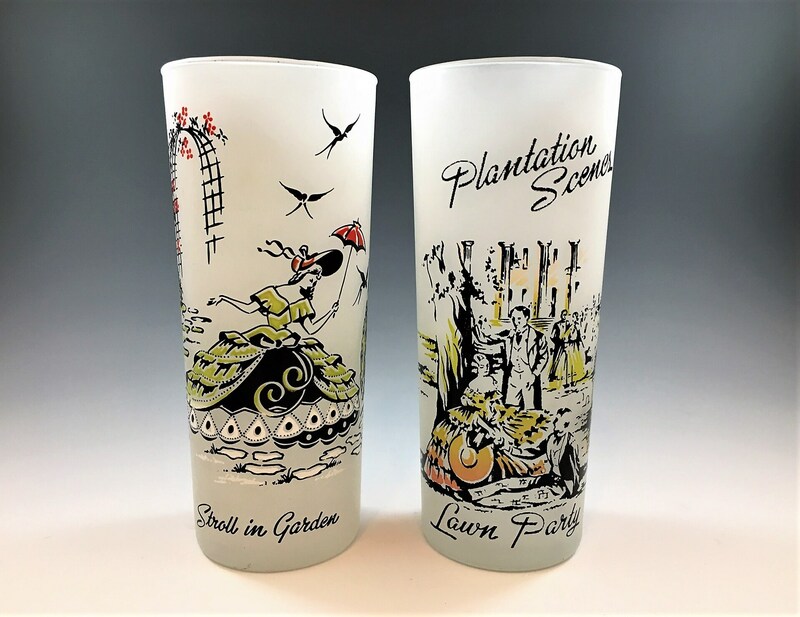 These tall frosted tumblers are from their Plantation Scenes collection. 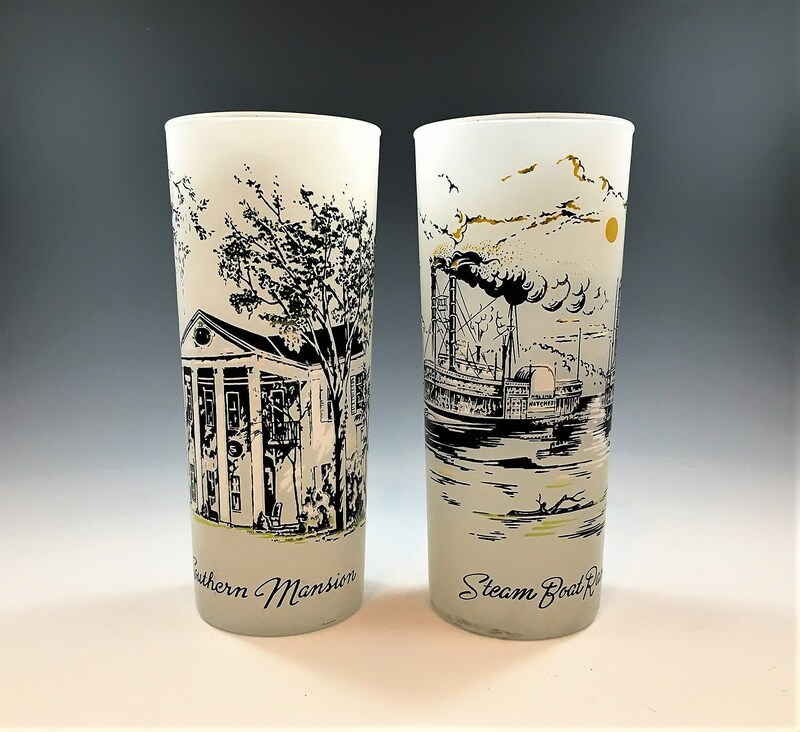 The scenes include Steam Boat Race, Lawn Party, Southern Gentlemen (3), Southern Mansion, and Stroll in Garden. 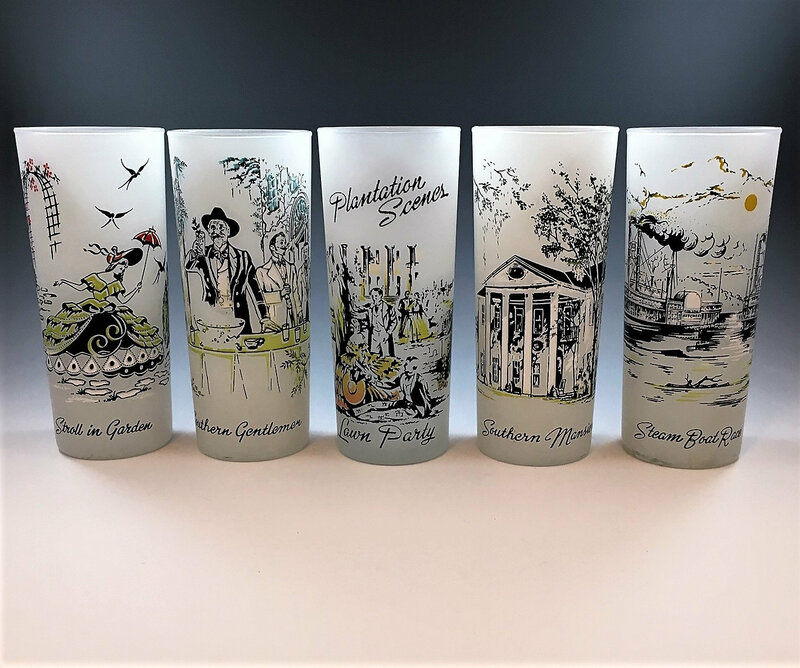 The glasses are in great shape with no chips or cracks. The graphics are in nice shape, still clear and bold, with just a touch of wear to the frosted surface on a couple of them. The glasses measure 6 1/2" x 2 3/4". All 7 offered here for one low price. 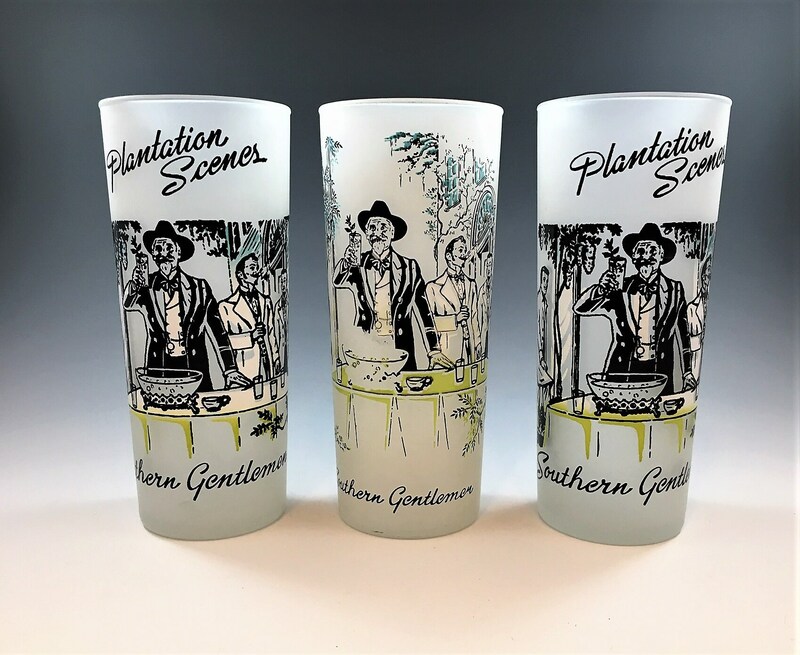 Get them now so you will have them in time for your Gone With the Wind screening party!